Could this be one of the spectacular 5K road races in the world? Along the route of the A75 motorway, can be found one of the most striking structures of the dawning of the century: the Millau Viaduct. 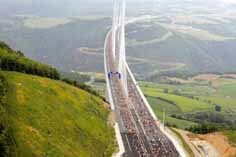 Designed by Lord Norman Foster, this bridge of international renown will played host to a run on 13 May 2012: the Eiffage Millau Viaduct Race. A remarkable moment suspended between sky and earth, the 13,500 participants strode out across the bridge for 5km to experience the rare delights of ‘running on air’, as they are seemingly suspended 270m above the ground. Indeed the traffic will even be halted for the occasion. 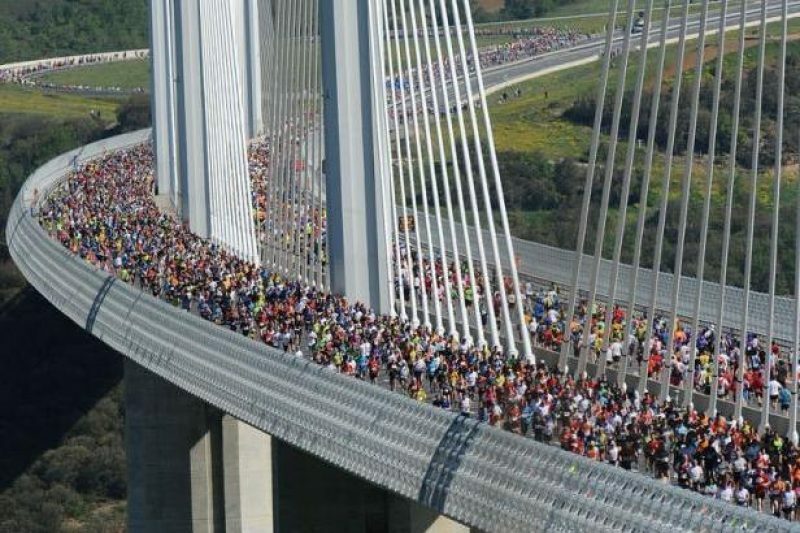 The first edition of the Millau Viaduct Race featured 10,500 runners. 5 years on, this second edition gathered together some 13,500 participants. Indeed a ticket for the race is much sought-after… It’s as much the curiosity and the originality of the experience as the sporting aspect, which encourages both informed and amateur sportsmen and women to add this race to their list of achievements. Nearly 5-million vehicles use the Millau Viaduct each year. However, on 13 May 2012, the traffic was diverted for four hours (from 0900 to 1300 hours) so as to let the runners complete the 5km return journey across the viaduct, clean it and then reopen the motorway in complete safety. It’s the Eiffage Group, constructor and manager of the Millau Viaduct, which took the initiative of reorganising a race across the structure. Today this project has been made possible thanks to the consent of the Ministry of Ecology, Sustainable Development and Transport. What a fabulous place to run! I’m signing up for the next one.